Our board certified plastic surgeons endeavor to restore hair density and appearance as maximally as possible for our patients. As plastic surgeons, their mission is to restore function and beauty to the body. As cosmetic surgeons in practice for close to 10 years, they have an artistic eye and the aesthetic experience to make a your hair transplant look natural and youthful. With our ‘awake’ technique, patients are back to work and exercise quickly with minimal downtime. Hair transplantation surgery is a natural extension of their skills in aesthetic surgery. Our plastic surgeons are board-certified by the American Board of Plastic Surgery. This certification is the gold standard for surgeons in cosmetic surgery of the head, face, breast, and body. Sound Plastic Surgery uses the latest technology for our patients. Hair transplantation at Sound Plastic Surgery is performed with the revolutionary NeoGraft follicular unit extraction (FUE) device. This device maximizes our efficiency in restoring the balding scalp in a single session. The NeoGraft procedure also avoids the old-fashioned linear scar on the back of the head, which is the unsightly hallmark of the ‘strip’ hair transplant procedure. 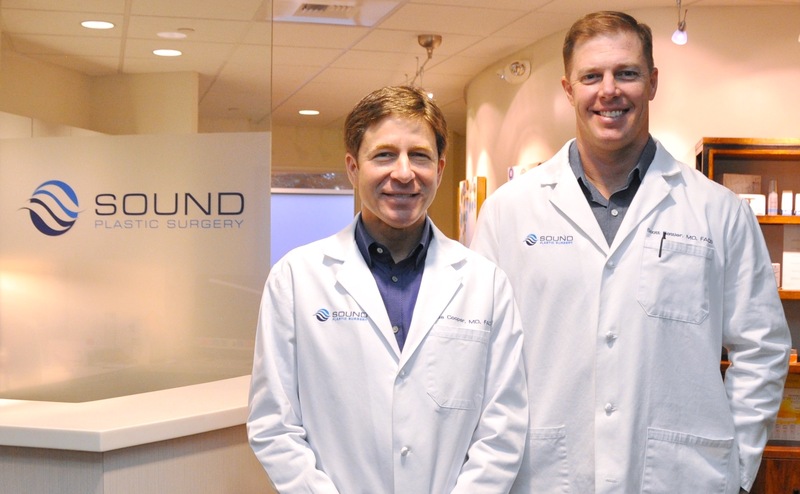 The staff and doctors at Sound Plastic Surgery are amazing.